Very soon, I’ll be back in Maine. The thought of being home again fills me with excitement, particularly during the holiday season, when the chilly air and often snow-dusted countryside personifies the winter holiday season to me. I’m looking forward to visiting some new places and coming back to NC with fresh insights to share, but most of all, I’m looking forward to seeing the family that is so special to me. In the meantime, here is a new ‘weekly recipe’ for you! This recipe struck me as a stick-to-your-ribs type of meal – hearty, with meat, beans, and veggies, but also pretty healthy. It’s from Maine Home Cooking, and serves 8. 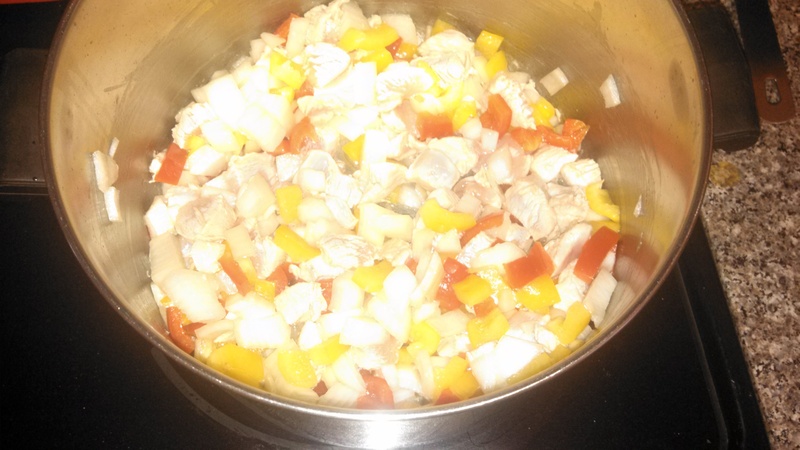 Heat the oil and add the chicken, onion, garlic, and peppers, and cook until the chicken is done. 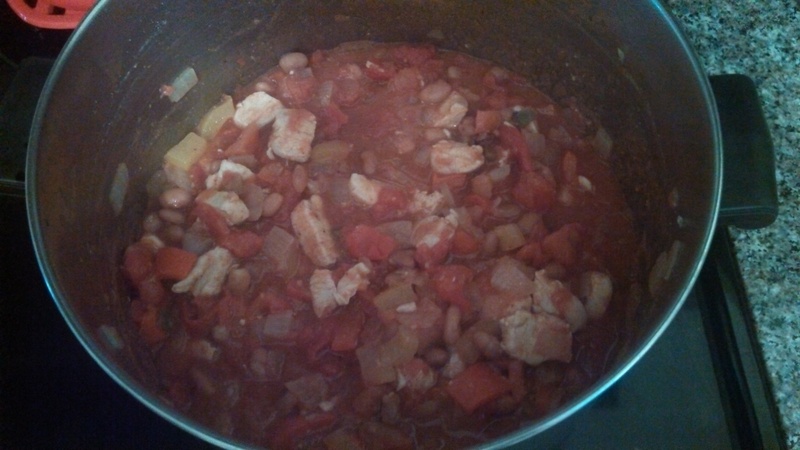 Add tomatoes, beans, salsa, and seasonings, and cook at a simmer all together for at least an hour. Serve with sour cream and grated jack cheese. 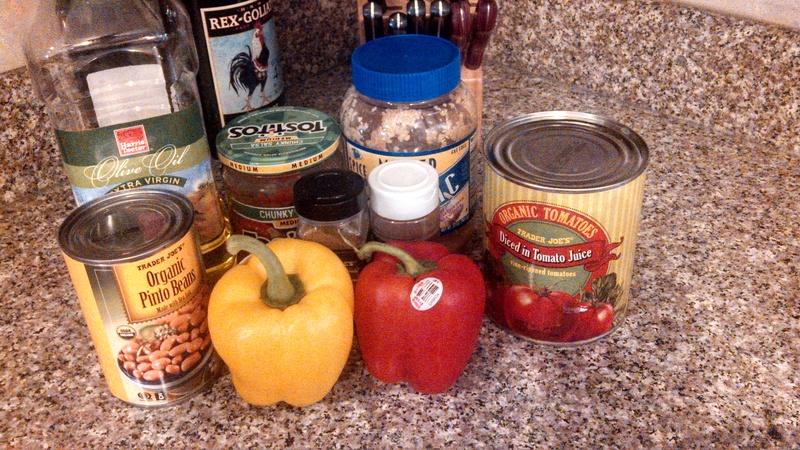 This recipe was easy and inexpensive, and will make multiple meals for us. That’s a winner in my book! 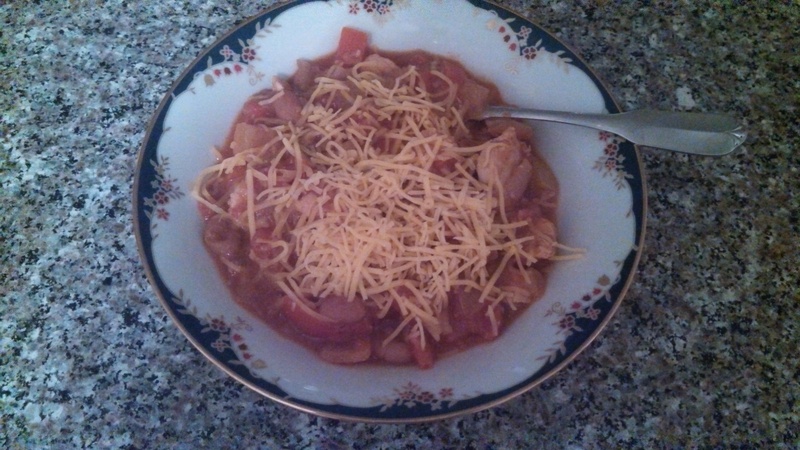 It was also pretty tasty, but I forgot the sour cream… it would have been really great with that addition! Yum! Good choice for a cold winter’s night! It’s hard to believe, but today is the one year anniversary of the start of the Maine Roots blog. It’s connected me back to the state of Maine in all the ways I’d hoped, although my real job has prevented it from happening quite as often as I’d hoped. Thank you for sticking with me and continuing to come back to see what’s new – whether I post twice a week or once a month! In a few weeks, I’ll get to go back for my annual dose of Maine, and boy, am I looking forward to it! I hope you’ll tell me if there’s a specific topic you’d like me to research while I’m there. There is nothing like the holiday season in frosty Maine! 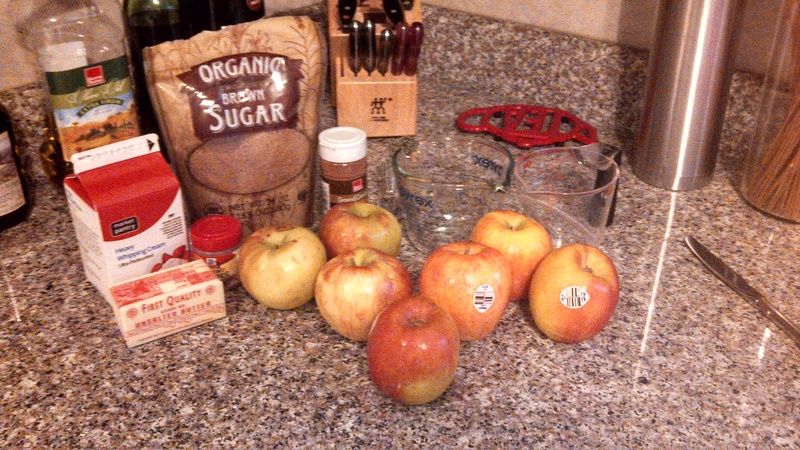 At long last… the recipe for apple pie appears! I must admit, I put this recipe off due to the intimidation factor. It’s the first pie I’ve ever made, and there simply seemed to be so many high priority tasks that took precedence over baking an apple pie. I took the plunge today, and now I don’t know what I made such a big fuss about. 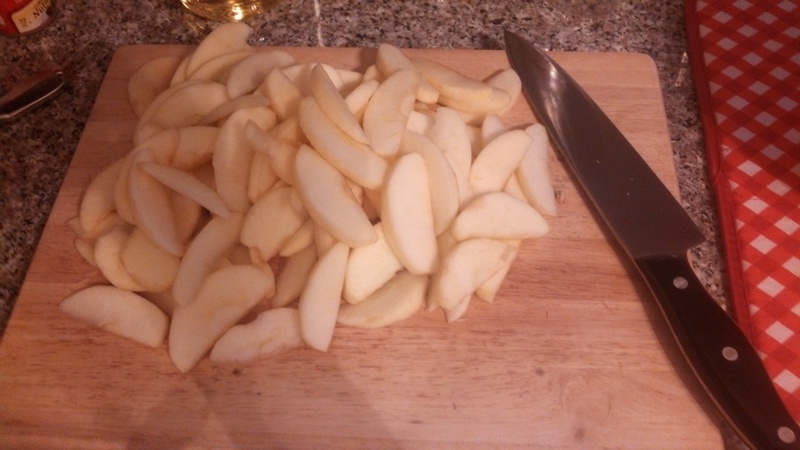 With the exception of peeling the apples, it was truthfully quite easy. I’m sure you’re thinking, why was the apple peeling such a hurdle for me? The simple reality is, I actually don’t like peeling anything. My dislike for peeling stems from my desire to do everything as quickly and efficiently as possible, and you simply can’t make peeling happen faster than it naturally will. And, if you try (which I have) you typically end up bleeding. The pie turned out really well except for the crust – which tasted delicious and was beautifully flaky, but it wasn’t glorious to look at. I can certainly recommend the recipe wholeheartedly, and I plan to make it again for Thanksgiving… in Maine! Perhaps my crust-making skills will improve by then. 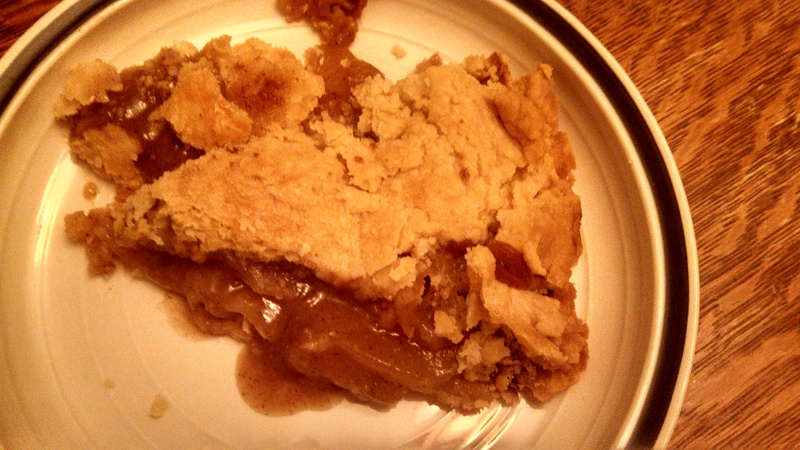 The apple pie recipe I used is from Maine Home Cooking by Sandra Oliver. The recipe was entered by Gayle Crowley into the University of Maine’s Page Farm and Home Museum’s 2008 Apple Fest apple recipe contest in Orono, and it won. Preheat oven to 400 degrees. 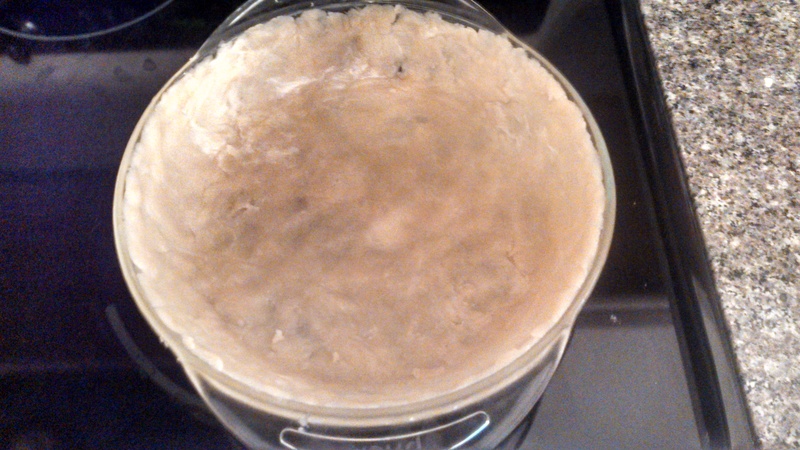 Make the crust by whisking together the oil and water in a bowl until it is white and thick. Add to flour and mix with a fork. Divide in two pieces and roll out bottom and top crusts to fit an 8-inch pie plate. To assemble the pie, toss the apple slices with the sugars, spices, and flour, and place in pie shell. 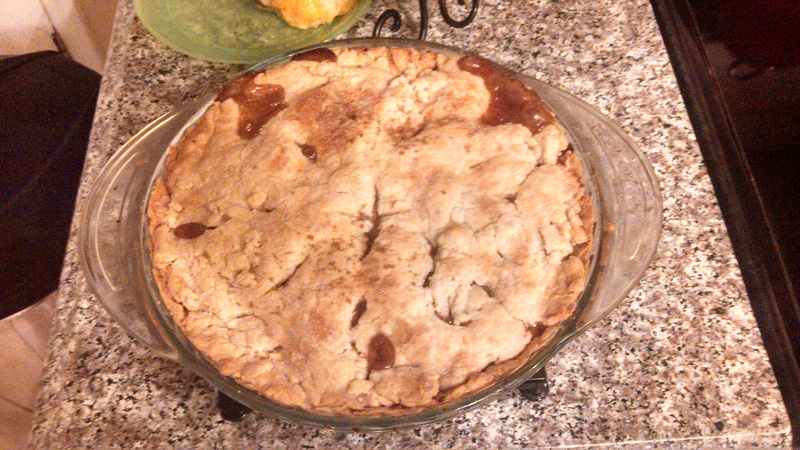 Made from scratch crust… although I had a store-bought version in the freezer in case of an emergency! Dot with bits of butter. Pour 2 to 3 tablespoons of cream into the center. Add the top crust and sprinkle with sugar. Bake 40 to 60 minutes until lightly golden and you can observe the filling bubbling. The pie was truly delicious and exactly what I was hoping it would be. Apple pie is my favorite dessert and was typically served instead of cake on my birthdays in high school, so my standards are fairly high, and this recipe exceeded them. It was also a big hit with the 18-month-old little boy who is visiting us with his parents – I had no idea “more!” could be shouted at such volume by someone so small! 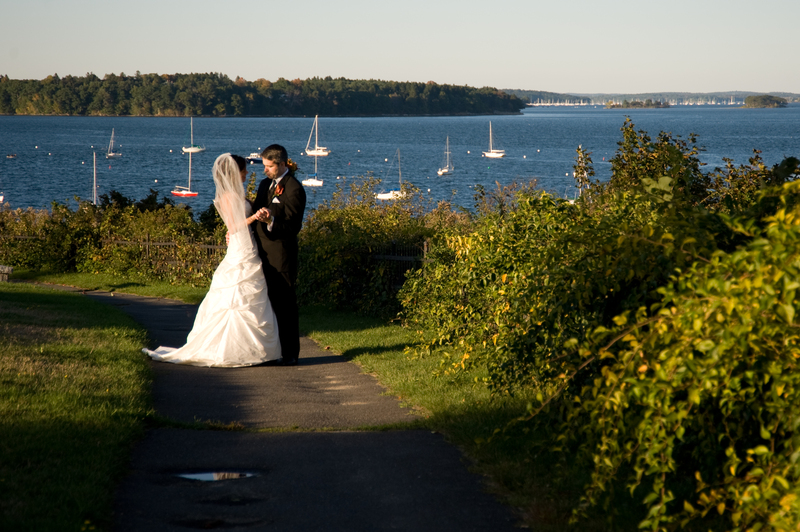 The Maine Destination – in Carolina Bride! Imagine my pleasure and surprise when my husband sent the link my way – a North Carolina publication talking about Maine – it just doesn’t get better than that! Since the article is from Carolina Bride, it does focus on a newlywed / wedding planning audience, but keep in mind that any of the destinations described would also be a wonderful, romantic getaway for a big anniversary, for the proposal itself – and more. I have no doubt my girlfriends would enjoy a girls’ weekend filled with shopping in southern Maine, or that a family with children could find great outdoor activities like hiking or biking. Maine offers something for everyone!